Jordan has delivered heavy military equipment to Lebanon's armed forces to bolster their fight against Islamist militants crossing from Syria, the army said Tuesday. The Jordanian military command said a consignment of armoured personnel carriers and tank transporters was delivered to Beirut on Monday "to boost its capacity to face threats across the region". Jordan is one of several Arab nations to have signed up to a US-led military coalition against Islamic State (IS) militant group in Iraq and Syria. Amman stepped up its bombing raids on IS in Syria after the IS burned alive a captured Jordanian pilot in a video released earlier this month. 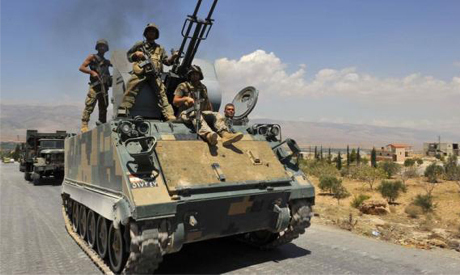 Lebanon's army has fought several deadly battles against Islamist militants crossing from the restive border with Syria. The US embassy in Beirut said earlier this month that Washington has sent $25 million worth of military aid to the Lebanese army. Saudi Arabia has pledged $3 billion to fund the purchase of French weaponry -- including helicopter gunships -- for Lebanon, although Beirut has yet to receive the arms.